FFA - American Airlines gives former Chairman of the Arizona Chapter of the Council on American Islamic Relations an award. American Airlines recently gave an award to the former Chairman of the Arizona Chapter of the Council on American Islamic Relations (CAIR). American Airline’s press release is posted in part below. 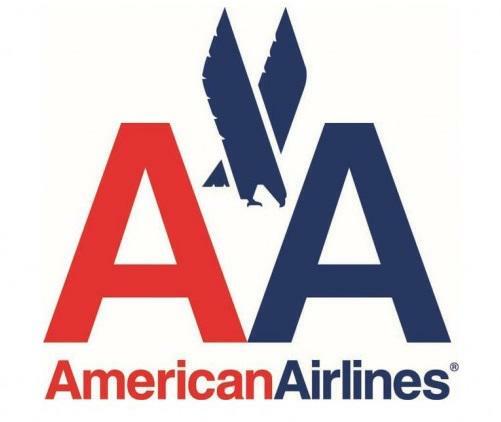 FORT WORTH, Texas, June 23, 2015 /PRNewswire/ -- American Airlines Group has recognized four employees with the 2015 Earl G. Graves Award for Leadership in Diversity and Inclusion for their work in making a lasting impression in the workplace, in the community and as role models in diversity. These employees have made extraordinary efforts to reach out to groups of people within the company and in their surrounding communities, promoting a culture respectful of all genders, races, creeds and abilities. Mohamed El-Sharkawy, specialist – Line Maintenance Training, Phoenix El-Sharkawy has served as Chairman of the Arizona chapter of the Council on American Islamic Relations for five years, where he encouraged dialogue, protected civil liberties, empowered American Muslims and built coalitions that promote justice and mutual understanding. He was instrumental in starting the interfaith, intercultural Bridges Employee Business Resource Group and played an integral role educating crew members on Muslim etiquette in preparation for the airline's route launch to Tel Aviv, Israel. American Airlines issued the award to Mohamed El Sharkawy in June 2015 but was not publicly known until it was published in American Airlines’ American Way in September according to Understandingthethreat.com. Interestingly, neither CAIR nor CAIR Arizona reported on American Airlines award to Mohamed. The online search results for “cair.com Mohamed El-Sharkawy american airlines” and search results for "cair-az.org Mohamed El-Sharkawy american airlines” indicates that American Airlines award to Muhamed El-Sharkawy was not reported by the Council on American Islamic Relations nor the Arizona Chapter of the Council on America Islamic Relations web sites. Omar Ahmad, Chairman and founder of the Council on American Islamic Relations, told a Muslim crowd Islam isn't in America to be equal to any other faiths, but to become dominant. The Koran, the Muslim book of scripture, should be the highest authority in America, and Islam the only accepted religion on Earth. At the Islamic Association of Palestine’s third annual convention in Chicago in November 1999, Omar Ahmad gave a speech at a youth session praising suicide bombers who kill themselves for Islam. Fighting for freedom, fighting for Islam — that is not suicide. They kill themselves for Islam, he said. Given CAIR's history and agenda, many Americans would reasonably conclude that CAIR leaders should not have such intimate access to airlines let alone be given an award by an airline company. Florida Family Association has prepared an email for you to send that will inform American Airlines about CAIR’s agenda and history. The email will also encourage the company not to give awards and high honor in the future to people who are involved in the Council on American Islamic Relations and similar Islamist organizations.